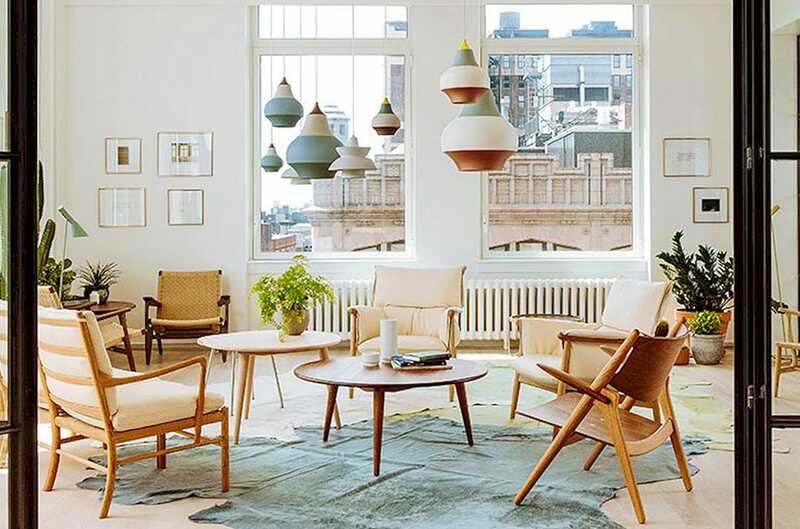 With clean, organic silhouettes, natural materials and muted palettes, Scandinavian design remains one of the most popular modern design movements. Designers from Denmark, Sweden, Finland and more lend their backgrounds in architecture and a cultural appreciation for outdoor spaces and simple living to some of our favorite modern lighting designs. Maybe the most favorite of all the favorites (if at least half the homes in the entire country of Denmark are any indication), the PH 5 Pendant represents everything that’s great about Scandinavian style. 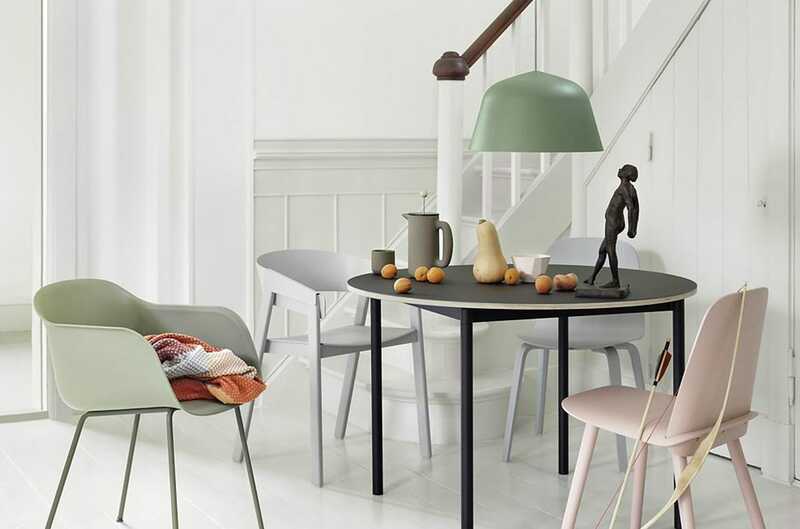 Poul Henningsen designed this piece with flattering light in mind—and now the PH 5 comes in an array of nature-inspired colors that flatter any living space. Designed by Poul Christiansen in 1971, the 172 has enjoyed immense popularity over the decades, with new sizes being added as recently as 2009. Le Klint still hand-pleats every fixture in their Odense studio; their dedication to excellence in craftsmanship helped them earn the distinction of Purveyors to the Royal Danish Court. 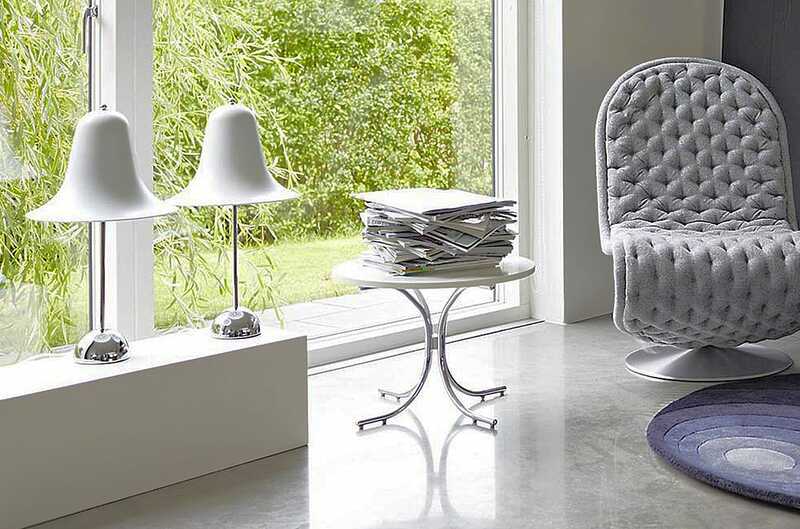 Verner Panton stands out among Scandinavian designers with his pop-art style and colorful aesthetic. But his designs adhere to the most basic of Scandi design tenets with beautiful, deliberate lighting effects and flowing lines. 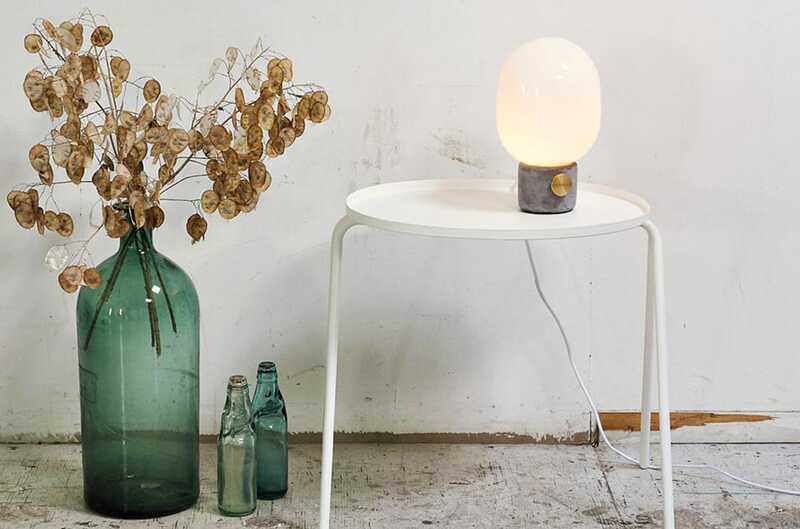 The Pantop Table Lamp is a chic and cheeky design that embraces Panton’s (and Scandinavia’s) spirit of individualism. Although Mater is a Danish brand, they worked with Finnish designer Maija Puoskari to create Terho in a typically Nordic gesture of collaboration. And along those same lines, the Nordic ideal of naturalist expression is realized with ecologically sustainable natural wood in shapes inspired by (and named after) acorns. 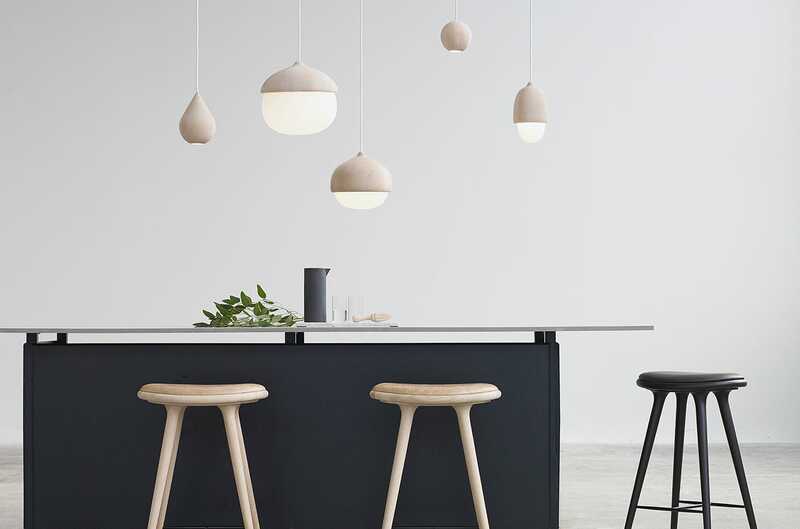 Muuto is based on the Finnish term for transformation, and their Ambit Pendant gently transforms the classic dome pendant for the modern home. Its not-quite-conventional silhouette is expertly hand-finished in one of several muted but springy colors that subtly bring the great outdoors inside. It’s not a candle, but the warm and cozy feeling is almost the same as the traditional Scandinavian standby. Menu’s JWDA Concrete Table Lamp—yes, that’s concrete!—is a juxtaposition in form and materials that reflects the very Danish contrast between grounded earthiness and ethereal light. 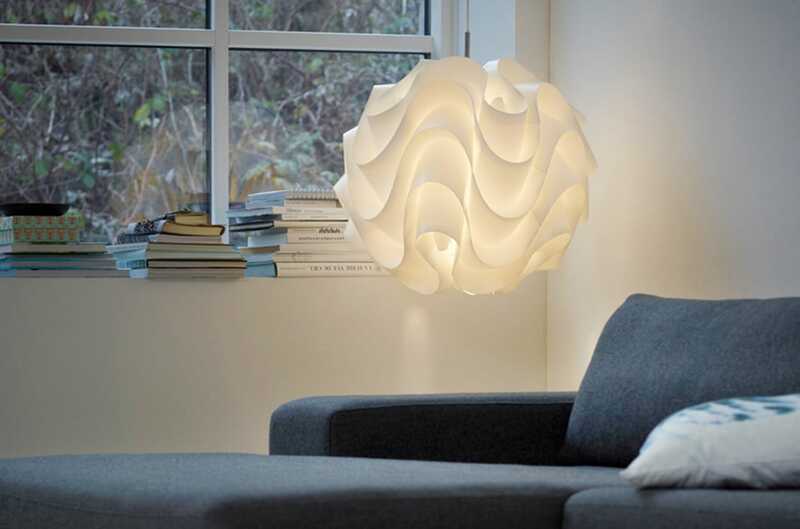 Plus, its playfully round shape adds charm and joy to any dim corner (a big deal when you’re near the Arctic circle). 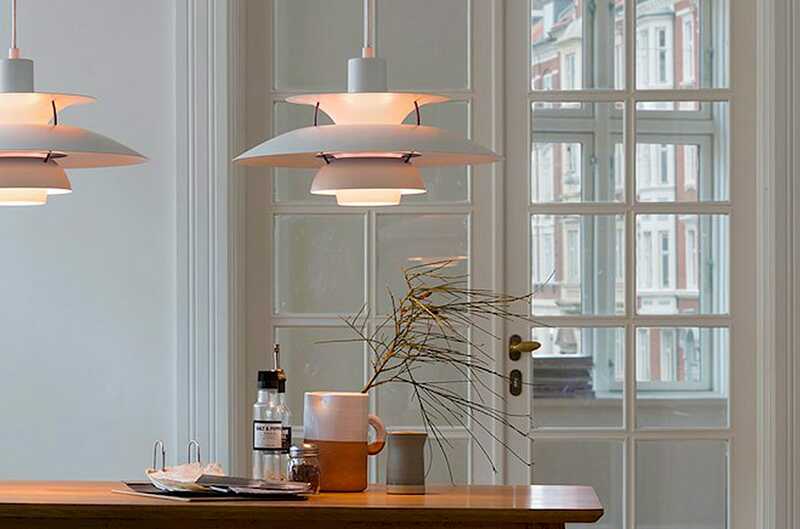 Louis Poulsen’s Cirque Pendant is poised to become a new modern Danish lighting favorite. With color schemes that range from playful to monochromatic and a bouncy silhouette, Cirque can blend with many other lighting and furniture styles to create a custom look that’s charming, elegant and yours alone. A classic crossover with an international pedigree. Swedish-born Greta Grossman helped define the California modernist movement in the mid-century, with her 1948 Grasshopper series blending utility and form with an inborn Scandinavian flair for simplicity. Today, Copenhagen-based Gubi is dedicated to keeping classics like these relevant for years to come. While technically European—and therefore Scandinavia-adjacent—we can’t deny the soft light and delightfully inventive Heracleum series from the Netherlands’ Moooi. 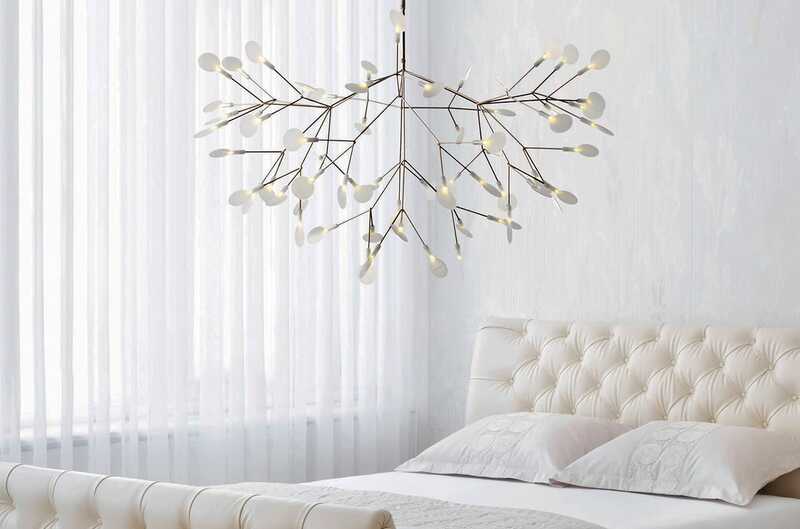 Whether you interpret it as snow flurries, winter blossoms or the cow parsnip flower for which it’s named (seriously), the individual spirit and delicate treatment of light fits well within the tenets of Scandinavian design. Humanely produced, sustainable and brimming with hygge. 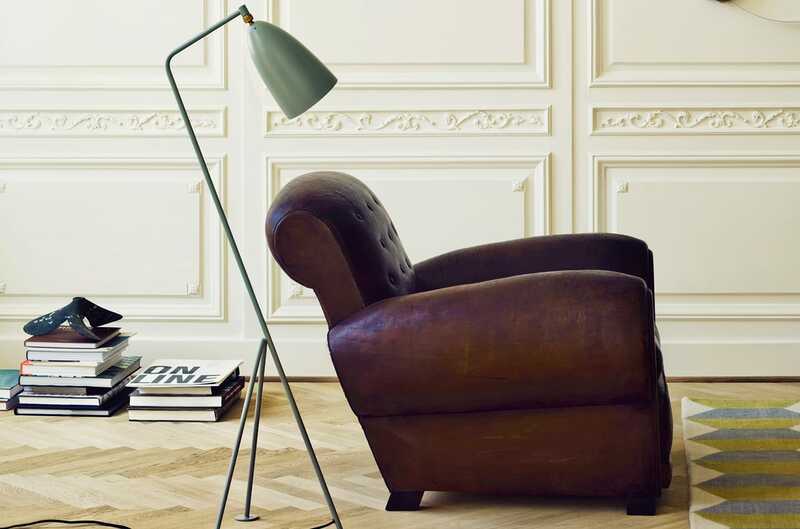 That elusive Danish term that has taken the design world by storm in recent years is summed up as a warm, familiar feeling that evokes comfort and nostalgia. 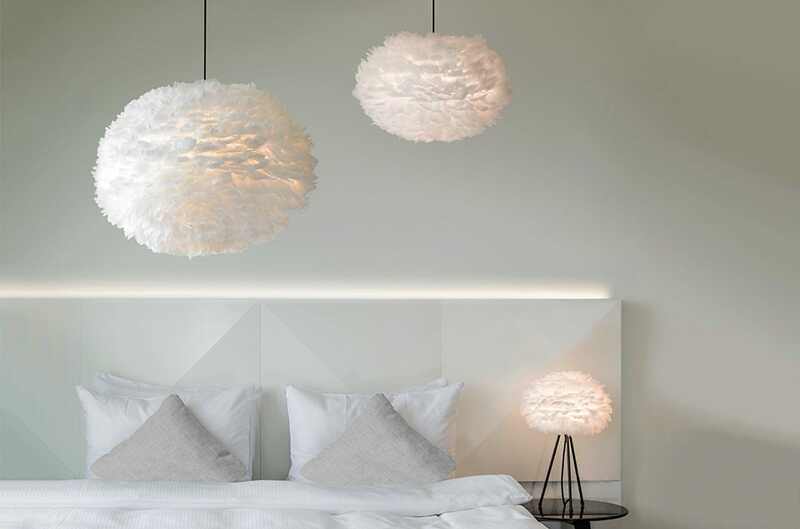 Danish design studio UMAGE ticks the Scandi design boxes of ecological awareness and diffuse, glare-free light with this cloudlike puff of real feathers that is cozier than any light fixture has a right to be.